Olympic Medallists Table Tennis - Who has won Gold, Silver and Bronze medals? Table tennis became an Olympic sport in 1988. Since 1988, when table tennis first joined the Olympic Games, the Chinese players have captured the majority of the medals. 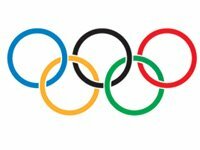 With four table tennis events and Gold, Silver and Bronze medals available in each event, there are 12 olympic medals up for grabs at each Olympic Games. 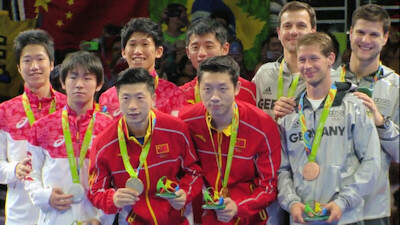 However, in the prestigious men's singles event, China have been beaten to the Gold Medal on three occasions. So let's take a look at which players have been Olympic medallists in the table tennis events since it became an olympic sport in 1988. Yoo Nam Kyu was the first winner in 1988, then we had Jan-Ove Waldner winning gold in Barcelona in 1992, Liu Guoliang in Atlanta in 1996, Kong Linghui in Sydney in 2000, Ryu Seung Min in Athens in 2004, Ma Lin in Beijing in 2008, Zhang Jike at London 2012 and Ma Long in Rio 2016. The 1992 Barcelona Olympics was the only occasion that Bronze medals were awarded to both losing semi-finalists.